The Mountain EbA Program continues to build on Ecosystem-based Adaptation efforts underway in the Panchase area of western Nepal, and has begun new projects in the Chilime watershed. We are working as partners with communities that are especially vulnerable to climate change impacts. Natural resource management groups such as Community Forestry User Groups and Leasehold Forestry User Groups, Women’s Groups and others are key to our projects’ success. EbA is an inclusive approach that focuses specifically on bringing women and traditionally poor and excluded groups into the process. In our project areas, there are groups that have been historically discriminated against, both socially and economically, such as the Dalit and indigenous groups including the Janajatis. As custodians of local natural resources, these groups are key to conserving mountain forests and watersheds. Their livelihoods depend on a healthy ecosystem. To identify which socio-economic and environmental factors make local communities most vulnerable, we have consulted with village leaders, local governments and other constituents in the watersheds. Next steps include assisting these groups in developing a plan for specific EbA activities that address some of their key vulnerabilities. Once the plan is in place, we then help communities implement a range of activities to restore and protect local water sources, forests and pasturelands while also helping to stabilize landslide prone areas and improve local livelihoods. An important part of our EbA work in Nepal is helping government and non-government groups better understand Ecosystem-based Adaption. In this way, we help build a more solid foundation for planning and implementing activities that improve livelihoods and the environment at the same time. Our EbA projects will offer evidence and feedback so that government policies related to environmental protection and livelihoods support can be strengthened and implemented at all levels. 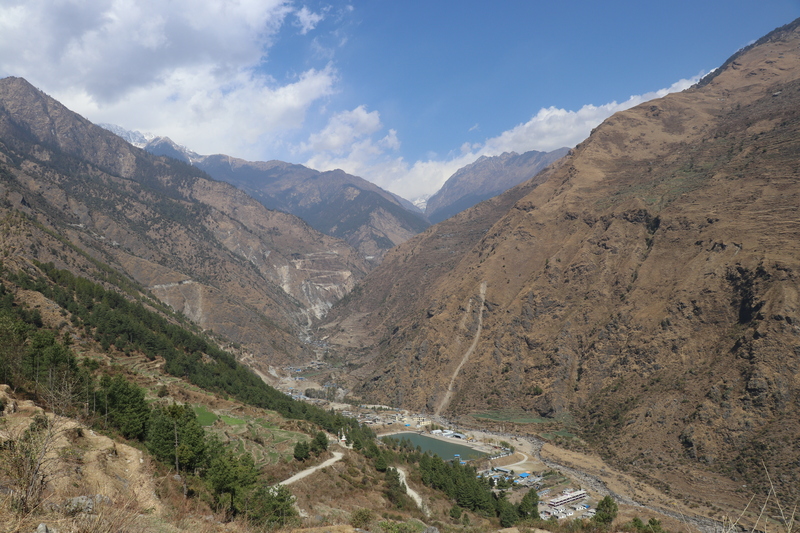 Check out recent Mountain EbA field trips in Nepal: Gongang Village & Tatopani Village. Learn more about our Mountain EbA projects in PERU and UGANDA. The official name of our program is “Scaling Up Mountain Ecosystem-Based Adaptation: building evidence, replicating success, and informing policy”. This program is part of the International Climate Initiative (IKI). The Federal Ministry for the Environment, Nature Conservation, Building and Nuclear Safety (BMUB) supports this initiative on the basis of a decision adopted by the German Bundestag. Our Mountain EbA Program is led by The Mountain Institute (TMI) and implemented jointly with the International Union for the Conservation of Nature (IUCN) and country partners over the period 2017-2020.